Respected architect Willard Byrd put his personal stamp on Meadowlands with a distinctive parkland feel. With this in mind, he was able to keep the great environmental features. The course spotlights features that follow the lay of the land. Your round will take you through mature woods bordered by serene meadows, pristine lakes and vast wetlands. Spacious, gently sloping fairways offer a surprising variety of elevation changes. 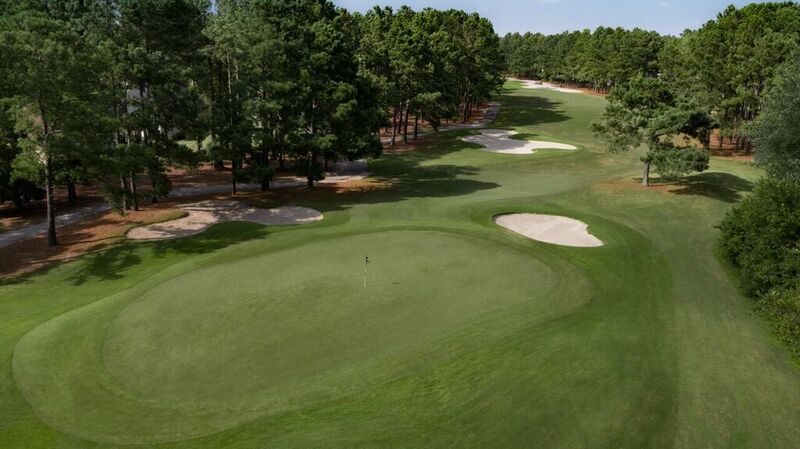 As a result, you are presented with a multitude of challenges as they open onto large, immaculately manicured greens. Meadowlands was built to Audubon International guidelines due to the insistence of the owners. This allows the course to deliver championship quality while alternatively offering ample opportunities to view area wildlife in their natural habitat.